Are you looking for water and wastewater treatment plant construction company in Reading, Berks County, PA with experienced and skilled team? Then your search is over because you have found DESCCO, the #1 water and wastewater treatment plant construction company in Berks County, PA.
DESCCO is an experienced water and wastewater Treatment Plant Contractor specializing in plants just like yours. From the planning & design, and the construction of a new WWTP, reviewing, upgrading and maintaining existing wastewater treatment plants, DESCCO Design & Construction can handle all your needs. We are equipped to build, maintain, and update your water treatment plants to meet the new DEP (Department of Environmental Protection) regulations. Since 1976, DESCCO has been building and renovating water and wastewater Treatment Plants throughout the Mid-Atlantic Region. We use the latest technologies so you get more efficient plant operations and equipment. A successful project starts in pre-construction planning and overall design. Once we understand your needs, our experienced design and pre-construction team can anticipate your water treatment project requirements and identify creative and alternative solutions that can keep your wastewater project on budget and schedule. When you partner with DESCCO Design & Construction you’ll gain the benefit of our expertise from planning and design to cost and time estimates, all the way through construction and maintenance. Our systematic approach, “The DESCCO Difference,” means you get efficient and effective project delivery without surprises, cost overruns or schedule delays. From the design and construction of a new government wastewater plant to upgrading your existing treatment plant, DESCCO can handle all your needs. We have the available resources that can help to build, design, maintain, and update your water or wastewater treatment plants and make sure they will meet all necessary requirements. Our experienced staff goes above and beyond to find the best possible solutions to any of your concerns. Whether you need to design and construct a new treatment plant or you need to renovate or add onto your current plant, DESCCO Design & Construction understands your individual challenges. We will work with you to devise a plan that is best suited for your business along with keeping time and your budget in mind. Do you want the confidence of full service, quality construction, and people who care all at a fair price? Then you need to Contact DESCCO Today. 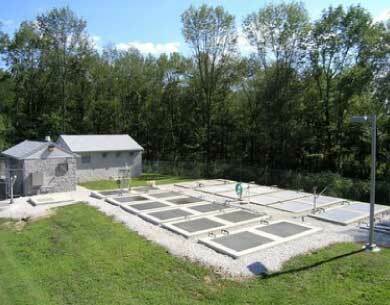 WHAT IS THE IMPORTANCE OF WATER AND WASTEWATER TREATMENT PLANTS? The major purpose of water and wastewater treatment plants is not only to protect our environment, but also to help remove any suspended solids as much as possible. Then the remaining water known as 'Effluent' is release back to our environment. The remaining decays of the solid material uses up oxygen needed by animals and plants living in the water. WHY SEWAGE SHOULD BE TREATED BEFORE DISPOSAL? Thinking of our environment is paramount to a healthy planet not only for us, but for our children, thus, the sludges which accumulate in wastewater treatment process must be treated to reduce the amount of organic matter, and eliminate the number of desease-causing bacteria and micro-organism usually present in solids, then properly dispose of in a manner that is not only safe, but also effective. DESCCO DESIGN AND CONSTRUCTION, INC.
DESCCOWATER IS A DIVISION OF DESCCO DESIGN & CONSTRUCTION, INC.